followed by a diagnosis that is often caused by their patients lack of preventive care. So I was kinda exposed to a lot of health supplements and skin care way before the current boom of the beauty industry. I was in my mid 30s, when i began using anti aging creams and wearing tinted oil-free sunscreens to prevent wrinkles, oiliness and dark spots. I also took glutathione as one of my antioxidants. I am not after whitening, (although Im also after that particular side effect). But I was more concerned of the benefits it can do to my body. I cant remember how many pills and creams I have been taking in to stop the time. Now its collagen thats been getting a lot of attention with many calling it one of the holy grail of healthy skin. 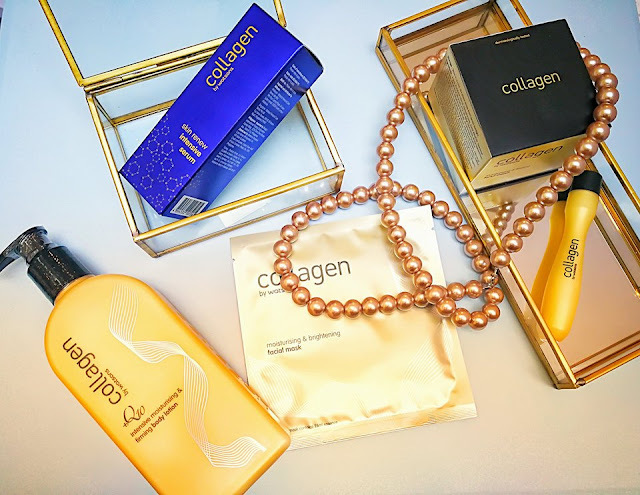 Ive trying out Collagen-building supplements recently and have been checking out the variety of new anti aging products. Im glad that Watsons came up with their new line and own brand of simple and effective skincare solution, the Collagen by Watsons. 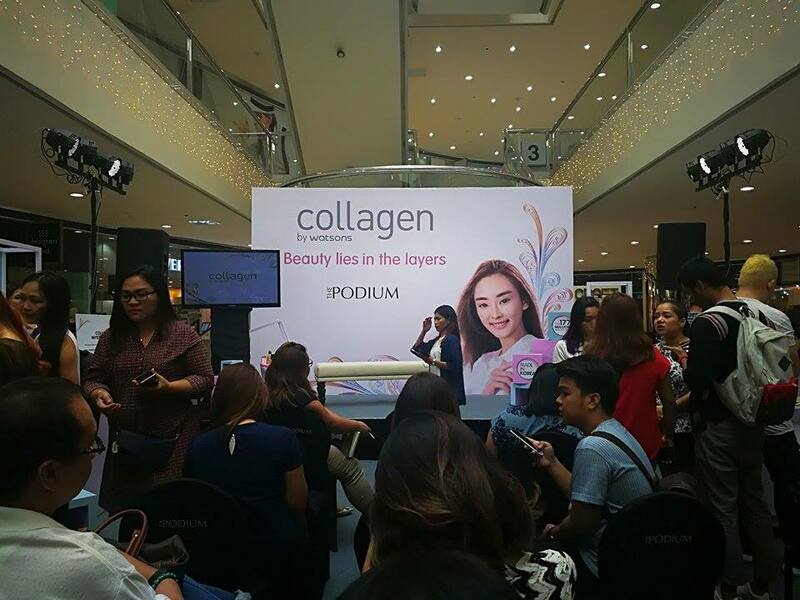 Watsons PH introduces Collagen by Watsons on Sept 21 at Watsons, The Podium. 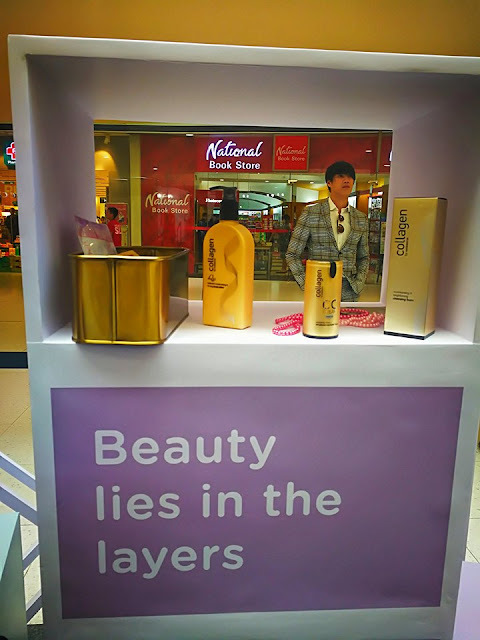 The launch was attended by bloggers and Watsons Top executives headed by Ms. Karen Fabres, Watsons Group Marketing Manager and Ms Viki Encarnacion, Watsons Customer Director. Watsons offers extensive range that would suit any skin, the one that I would like to try is Skin Renew. My concern was I started to notice fine lines and saggy skin along my jaw lines. With its skin rejuvenating program, it repairs and restores skin cells to give a firmer and younger looking skin. Droopy or sagging skin, too oily skin, dark spots, uneven skin tone, fine lines and wrinkles. Are you experiencing any of these skin horrors? These skin concerns may have resulted from low collagen levels in the skin. Collagen is the building block of the skin’s structure. It is naturally produce by our bodies. Unfortunately, as we age, coupled by stress and lifestyle choices, collagen production slows down or weakens. Nourishing the skin with collagen can help address various skin concerns. This is what Watsons discovered in keeping its promise to help us look good and feel great. The retail brand brings you its own brand of simple and effective skincare solution, Collagen by Watsons. 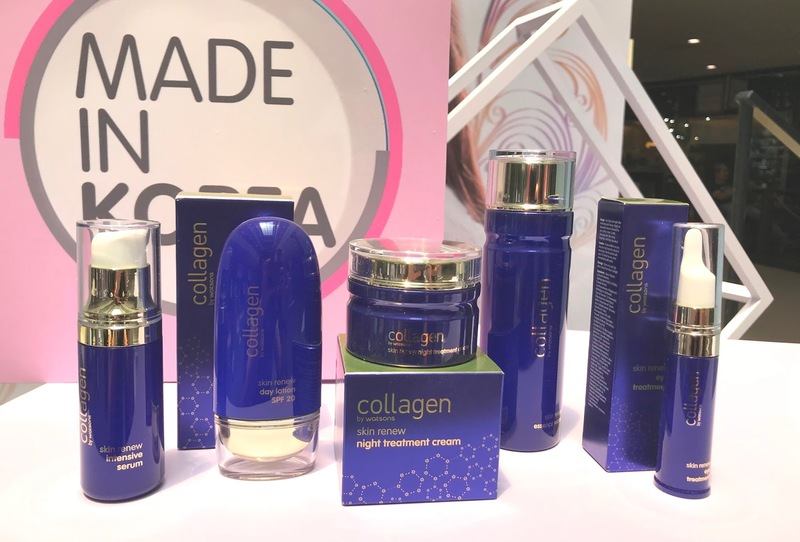 Collagen by Watsons is a new generation of skincare that contains critical nutrition for your skin. This skincare concept, originally developed in Korea, has been dermatologically tested and proven to help boost the skin’s natural collagen levels. It is designed with Tri-Collagen Complex, a unique formulation of three (3) collagen molecules working together, penetrating down to deeper layers of the skin. It purifies and regenerates the skin cells and improves elasticity. Collagen by Watsons believes in the simple truth that beauty lies in the layers. This means going back to the basic foundation of the skin – collagen. The skin must be nourished from within to prevent and solve skin concerns, leaving you with your best-looking skin ever. Dryness, roughness, and skin dullness. These are signs that your skin is dialing the rescue hotline. 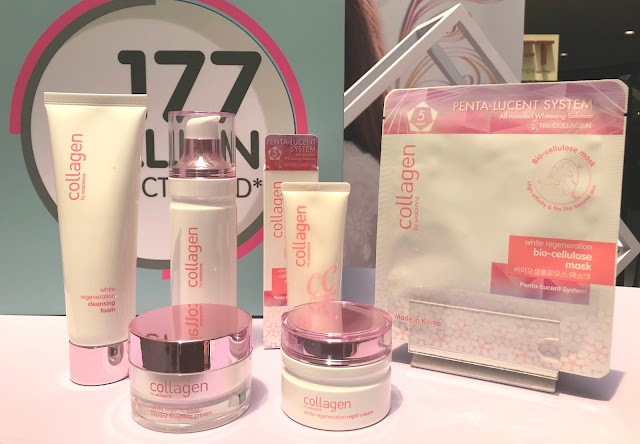 The Nourishing range’s collagen boosting system improves the skin’s elasticity to keep it moisturized, firm and supple. Are you annoyed with dark spots or uneven skin tone? Do you wish to have a fairer skin? Your future is looking bright. White Regeneration is the whitening range made with Penta Lucent system that reduces dark spots and prevents melanin formation. With this range, skin is whiter, fairer and more translucent. Droopy or saggy skin, wrinkles and fine lines – if you notice any signs of aging, it’s time to send an SOS. Reverse the signs of aging with Skin Renew. With its skin rejuvenating program, it repairs and restores skin cells to give a firmer and younger looking skin. Oily skin is the worst way to shine. Aim for that fresh, dewy look. The Hydro Balance range has Smart Water Channel that infuses water deep into the skin, keeping it hydrated. It locks in moisture to keep our skin feeling fresh, soft and smooth. Ms Viki Encarnacion, Watsons Customer Director. Remember, your skin’s needs are as complex and deep as its problems. Thanks to Collagen by Watsons, there’s one simple beauty solution that gets to the bottom of them all. Pick up the collagen expert - Collagen by Watsons. Beauty Lies in Layers. 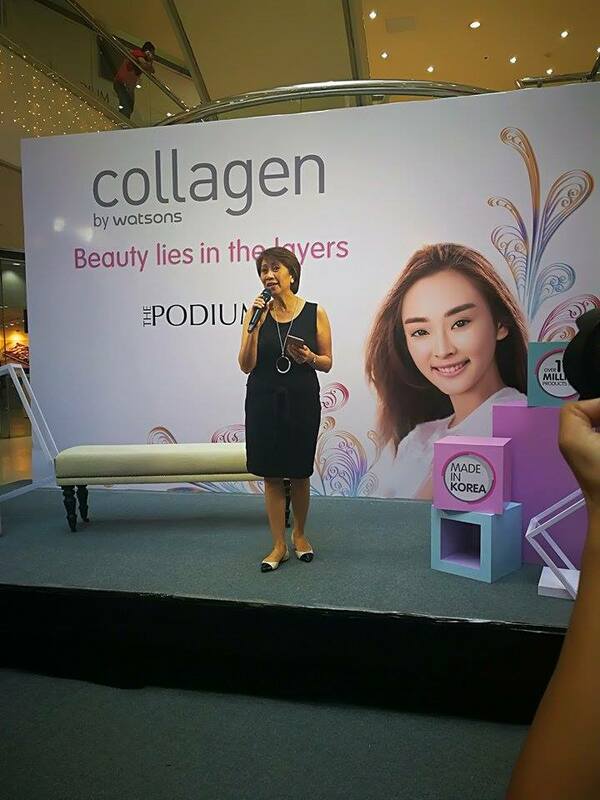 Learn more on how Collagen by Watsons can help you achieve a healthy, beautiful skin. Chat with Call on Collagen chatbot by visiting http://m.me/CallOnCollagen. Get beauty tips and reminders, skin facts and be updated with the latest store offers and promotions. 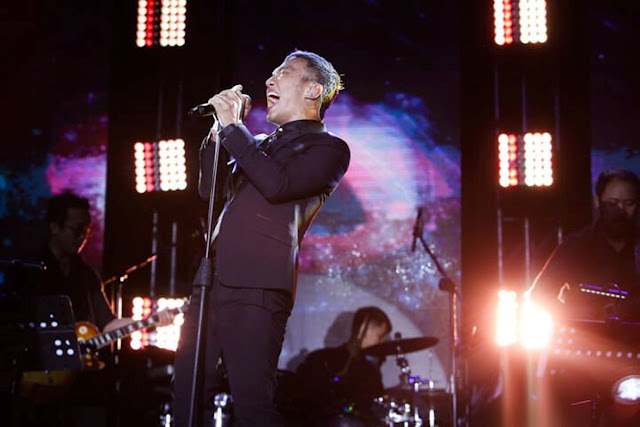 Here’s another great news! For SM Advantage Card members, get 40% off on selected Collagen by Watsons products from September 21 to November 22, 2017. Per DOH-FDA-CDRR permit no. 133 series of 2017. The SM Advantage Card is available at any Watsons store or at The SM Beauty Section. At Watsons, members get more!